 South East Fire Protection LTD is a registered company to BAFE Competency of Portable Fire Extinguisher Organisations and Technicians (SP101) scheme, providing confidence to our customers that by using us you have appointed a competent and safe company. Under the Regulatory Reform (Fire Safety) Order 2005 all premises must carry out a fire risk assessment, article 13 of the FSO requires the responsible person to ensure that the premises are to the extent that it is appropriate equipped with fire-fighting appliances. This equipment must be the right type for the identified risks and be positioned in the correct locations with the adequate signage. 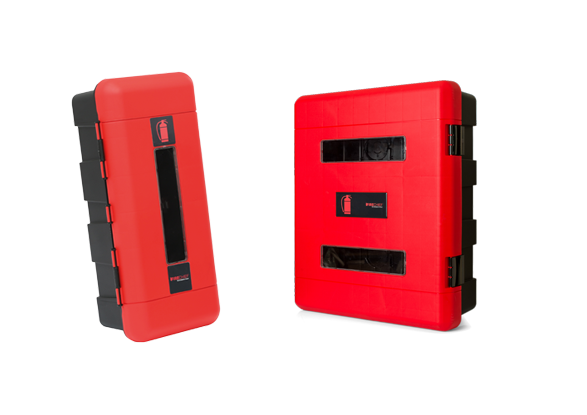 This process is documented in BS 5306 – 8:2012 Selection and positioning of portable fire extinguishers. 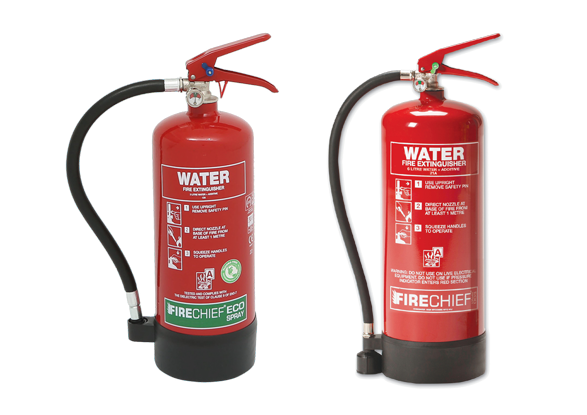 South East Fire Protection LTD can survey, supply, commission and install a range of fire extinguishers for any type of building, business or risk, all extinguishers supplied are manufactured to the highest standards, CE Approved and Kite-marked to BS EN3. Article 17 of the Regulatory Reform (Fire Safety) Order 2005 outlines the maintenance requirements. You must ensure that firefighting appliances are covered by a suitable system of maintenance and are maintained by a competent person in an efficient state, in efficient working order and in good repair. 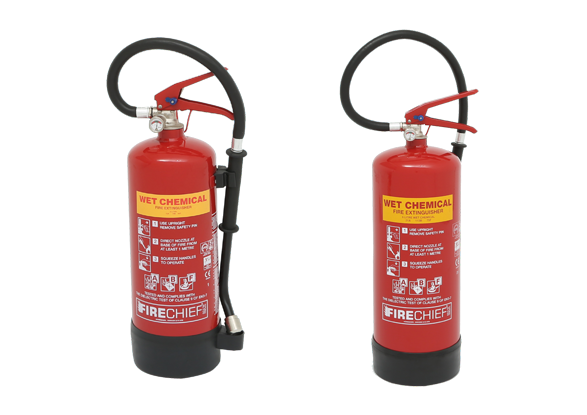 This process is documented in BS 5306 – 3:2009 Commissioning & maintenance of portable fire extinguishers and BS 5306 – 9:2015 Recharging of portable fire extinguishers. Our engineers are qualified to provide advice on the suitability, positioning of portable extinguishers and carry out annual maintenance requirement. Our engineers hold BAFE (British Approvals for Fire Equipment) certificates to provide our customers with the proof they are competent. 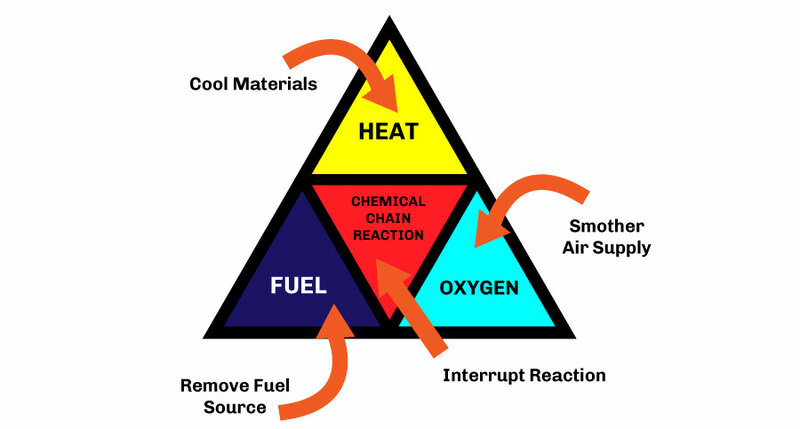 Class A | Fires that involve solid or organic materials, such as wood, plastics, paper, textiles, or coal. Although it is not recognised as a separate class of fire in Europe, electrical fires that involve live equipment and electrical sources are also a consideration. 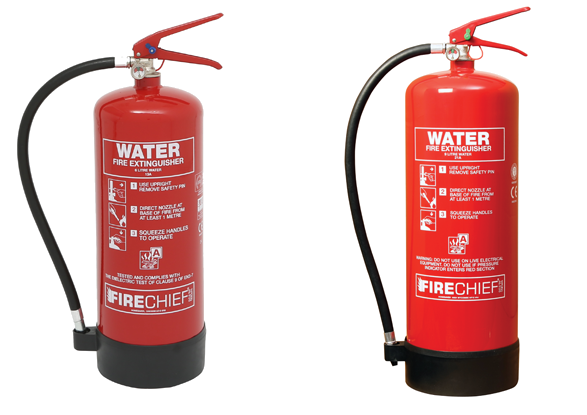 Water Extinguishers are suitable for use on solid material such as: wood, paper, textiles etc. Used correctly Water is very effective at cooling the fuel surface. 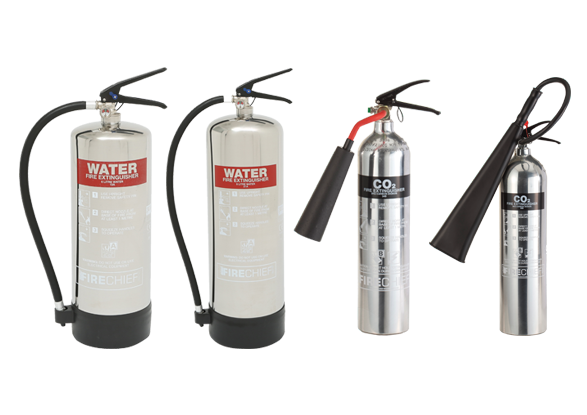 Water Extinguishers with Additive are lighter are more effective than conventional water types, and are suitable for use on solid material such as: wood, paper, textiles etc. Used correctly Water is very effective at cooling the fuel surface. 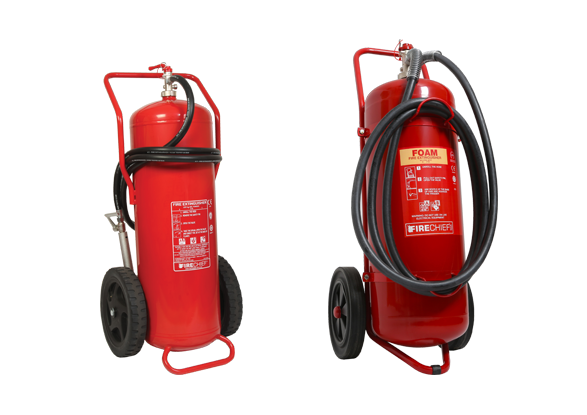 Foam Spray Extinguishers Ideal where both A & B class fire risks exist. AFFF (Aqueous Film Forming Foam) is particularly suited to class B fires caused by the combustion of materials that liquefy such as petrol, oils, fats, paints, etc. Used correctly Foam is very effective, the foam seals the fire from its oxygen supply, and cools. 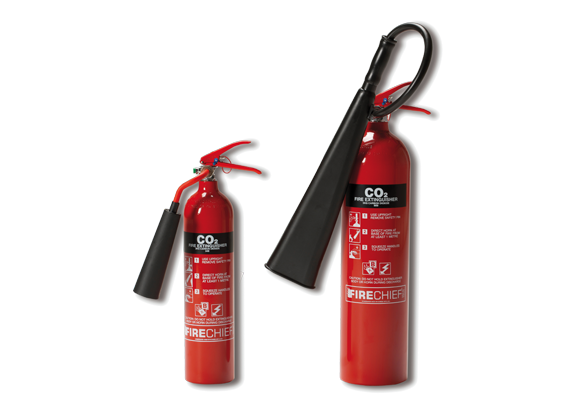 CO2 extinguishers are suitable for fire risks involving flammable liquids and for electrical hazards. CO2 is harmless to electrical equipment and is ideal for modern offices, electronic risks and for the protection of electrical installations. Used correctly CO2 works by suffocating the fire, displacing the oxygen in the air. Wet Chemical Extinguishers are for use on fire risks involving cooking oils and fats. Used correctly Wet Chemical extinguishers create a layer of foam on the surface of the burning oil or fat, preventing oxygen from fuelling the fire any further. The spray also has a cooling effect. Long Lance Applicator which enables discharge from a safer distance. 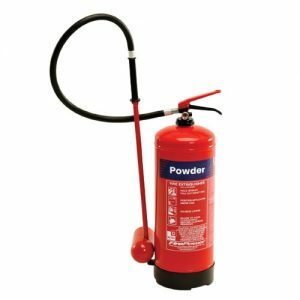 Dry powder Extinguishers are suitable for mixed risk fire environments and especially suitable for flammable liquids and fires involving flammable gases such as propane, methane, hydrogen, natural gas etc. 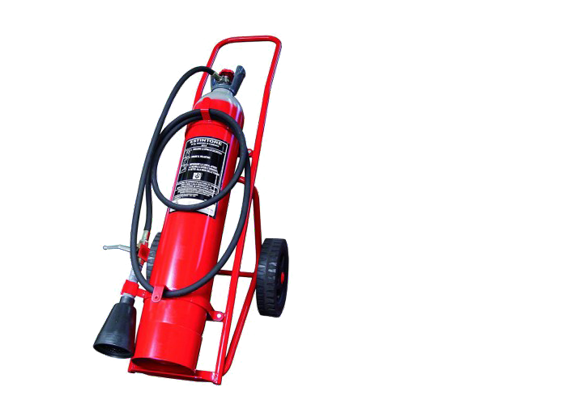 Used correctly Dry powder extinguishers smother fires by forming a barrier between the fuel and the source of oxygen. 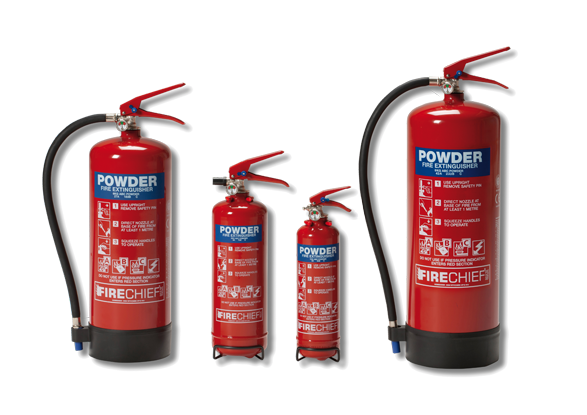 Specialist Dry Powder L2 is designed for fire risks involving sodium, magnesium, aluminium, etc and is also effective on fire that involve Lithium. 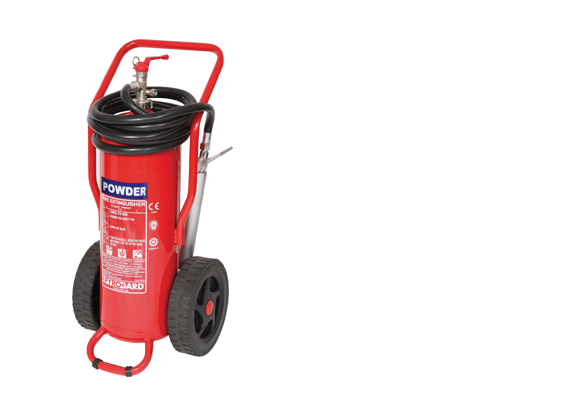 These types of extinguishers are equipped with a special low velocity applicator to ensure the powder is applied gently and efficiently without risk of the discharge pressure spreading or splashing the burning metal. Used correctly these extinguishers extinguish metal fires by fusing the powder to form a crust, which excludes oxygen from the surface of the burning metal. Dry powder trolley units are commonly used for large fuel storage areas and warehouses as it can tackle A, B and C class fires. 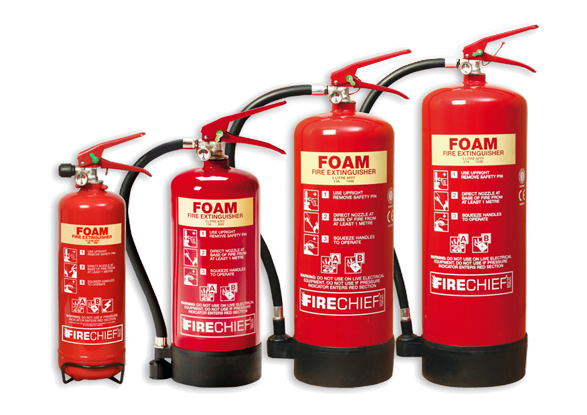 Foam trolley units can be used on A and B class fires making them suitable for warehouses and showrooms, petrol stations and as storage facilities. The CO2 trolley units are suitable for large industrial risks involving flammable liquids and electrical hazards. 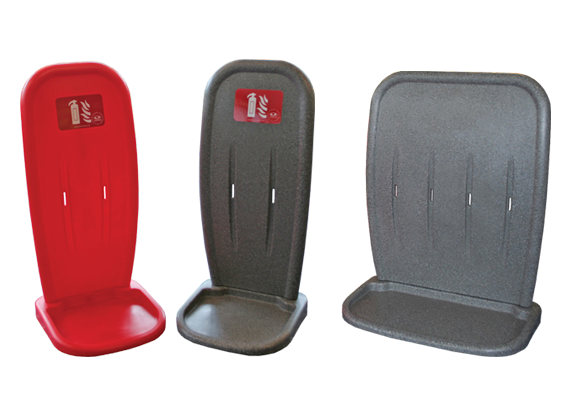 Fire Extinguisher Stands are used where wall-mounting of fire extinguishers would be unsuitable or where wall-mounting could cause damage. These free-standing rotationally moulded, chrome or red tubular fire extinguisher stands let you place your fire extinguishers exactly where they are needed. 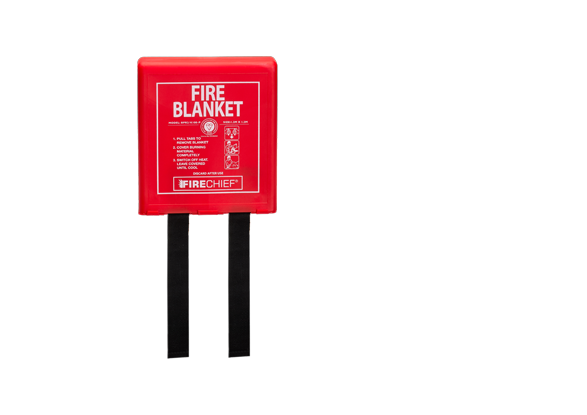 Our fire blankets are fitted into a durable moulded body with an opening at the base for the blanket to pulled from, the blanket is a double-sided glass cloth, white and silicone coated.